PLEASANTON, Calif., April 3, 2019 /PRNewswire/ — New research* reveals a generational divide in the way younger consumers shop, pay and engage with gift cards in an evolving shopping landscape. Although brick-and-mortar retail still has a strong foothold in the market, demand for egifts from Gen Z and Millennial consumers is beginning to rapidly catch up with physical gift cards as interest in innovative shopping and branded payments continues to grow. While gift card merchants are increasingly embracing omnichannel gift card options, there is still much room for progress in their offerings. These are among the findings of the latest research commissioned by branded payments provider Blackhawk Network. Purchase of egifts is more frequent among younger generations and is catching up with physical cards. Forty-one percent of Gen Z consumers and 39 percent of Millennials surveyed purchase egifts at least once every three months, compared to 26 percent of Gen X consumers and 14 percent of Boomers. In comparison, purchase of physical gift cards is only slightly higher with 51 percent of surveyed Gen Z consumers and 47 percent of Millennials shopping for a physical card at least once every three months. Frequent egift usage by younger generations has also been impacting egift purchase of older generations, with 20 percent of Gen X surveyed choosing to buy egifts for their children. Younger generations, led by Millennials, are open to using egifts as branded payment tools. The majority of Millennials surveyed (72 percent) have used egifts and have also tried other mobile payment solutions, including mobile apps (60 percent), gift card in mobile wallet (44 percent), and mobile wallet (42 percent). Gen Z consumers are not far behind with 63 percent of those surveyed having used egifts to make a payment. Surveyed consumers from both generations purchased four egifts over the past year for self-use compared to three physical cards, indicating a growing tendency to use digital branded payments. Younger generations are more receptive to innovative shopping. Fifty-one percent of Millennials surveyed are likely to shop online for egifts compared to 46 percent of Gen X, 42 percent of Gen Z, and 30 percent of Boomers who generally tend to be more interested in traditional shopping methods. Younger generations are also more frequent users of mobile commerce with 42 percent of Gen Z consumers and 46 percent of Millennials surveyed placing monthly orders on their mobile phones for delivery—a habit less common among Gen X (29 percent) and Boomers (13 percent). Moreover, surveyed Gen Z consumers are significantly more likely than any other generation to use the latest shopping innovations on a monthly basis or more including voice shopping (20 percent), pop-up stores (21 percent), and virtual reality shopping (17 percent), compared to an average of eight percent across generations. Gift card merchants have made improvements in their omnichannel gift card offerings, but more can be done. According to the 2018 Merchant Gift Card E-Commerce Evaluation** report conducted by NAPCO research and sponsored by Blackhawk, 51 out of 100 brands evaluated were found to offer both egifts and physical gift cards across desktop, mobile and mobile app (when applicable). Though this marks an improvement over the previous year’s study, which found that only 36 merchants evaluated had incorporated such omnichannel offerings, more progress can be made particularly in mobile. Only eight out of 87 brands evaluated offer a commerce app with an in-app experience that tallies with their desktop purchase experience. The report also highlights the need to make gift cards more easily accessible across each of the brands’ channels. 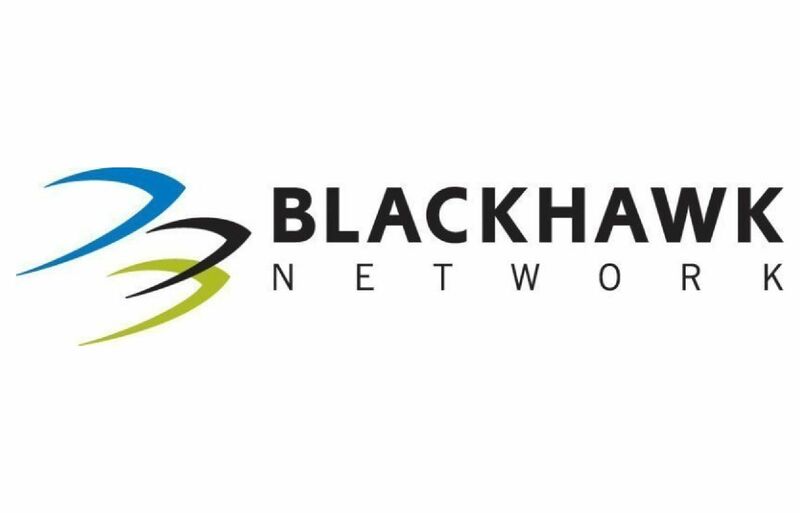 Blackhawk Network delivers branded payment programs to meet our partners’ business objectives. We collaborate with our partners to innovate, translating market trends in branded payments to increase reach, loyalty and revenue. With a presence in over 26 countries, we reliably execute branded payment programs in over 100 countries worldwide. Join us as we shape the future of global branded payments.